This asus rog Strix GL12CX combines the dynamism of the RTX 2080 and the Intel i9-9900K. What’s special about this power couple is that the CPU comes factory overclocked up to 4.9GHz under a dead silent, liquid-cooled system, which seems like a good investment if you’re the kind of person who is into high-end tech. Turned off, the solid black chassis captures the silent ninja look Asus was presumably going for. Turned on. small strips of color glow brightly from between the cracks. This special Black Ops 4 edition also comes with a clear side panel to show off the components. Aura Sync lighting adds a specific color pattern to your keyboard as soon as you start Black Ops 4, then highlights specific keybindings once in game. It’s pretty, but not exactly essential. One of the wonkier features is the magnetized front panel; it provides easy access to the optical drive and hot-swappable SSD tray, but doesn’t attach to the case. The whole thing pops off, which is a little awkward. At 1080p on Ultra, the RTX 2080 handles some of the most demanding games with ease. Whether we were struggling to survive against an onslaught of zombies or navigating our way through a busy crowd in Mexico, not once did our screen suffer any kind of frame rate dip. The in-game benchmarks showed Shadow of the Tomb Raider and Total War: Warhammer II both averaged consistently between 90 and 100fps. Tom Clancy’s Ghost Recon: Wildlands came in at an average of 65fps; lower, but still within an ideal range. It did push the GPU to its limits, though—up to 97 percent capacity—which brings us nicely to the 3DMark benchmarks. We didn’t have a 1440p or 4K monitor to hand to run the gaming benchmarks at higher resolutions, but we did test the GPU in Fire Strike Extreme and Ultra. The RTX 2080 scored 11,683 for Extreme (1440p) and 6,159 Ultra (4K). which is about in line with—perhaps slightly lower than—what you should expect from Nvidia’s new GPU. The i9-9900K provides great support to the RTX 2080. Looking at the single-core benchmarks in Cinebench, this overclocked CPU comes in at an average score of 212, which is higher than the top CPU on its list. However, the multicore test only brought the i9-9900K in at an average of 2,090, which is lower than the i9-7900X. 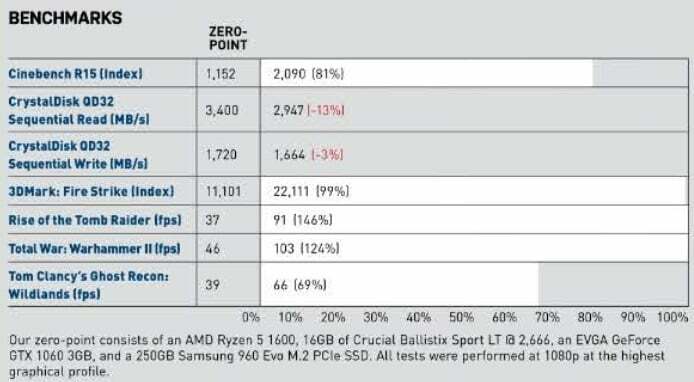 Obviously, take this with a grain of salt; 3DMark puts the CPU usage at about 20 percent on the low end and 52 percent on the high end for Ghost Recon: Wildlands, so the i9-9900K can handle way more in terms of gaming. This GL12CX has an MSRP; if you look at the current retail price of each piece of hardware individually, you could save roughly by building an equivalent system yourself, but that’s without factoring in the cost of prebuilt benefits such as warranty, labor, and, in this case, the special Call of Duty edition extras. 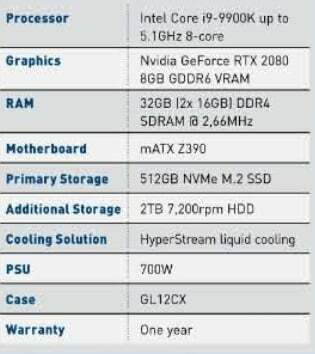 There’s also a cheaper version with a factory overclocked i7-9700K, RTX 2080, and 16GB RAM. Speaking of extras, those only include a free copy of the game and a bunch of stickers. It’s also questionable whether a keyboard and mouse are included. 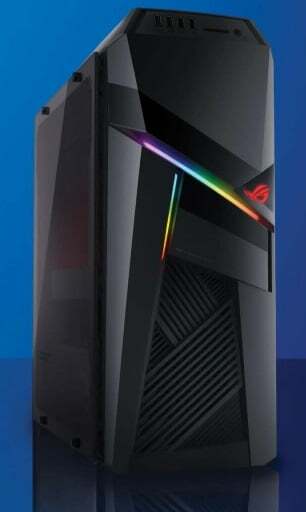 The Asus store lists these as add-ons, but while some retailers say one version of this desktop comes with a keyboard and mouse, others say they are sold separately. The peripherals don’t have a special COD spin on them either, but if you’re in need of a new mouse and keyboard, they’re a nice addition. The GL12CX is nice, but overpriced Hike most prebuilts), especially if you don’t care about the COD extras. If you’re in the market for a quiet and powerful prebuilt, it might be worth considering—just don’t make the stickers and free game your deciding factor.